Habitat build partners play an essential role in our construction process by providing financial support, in-kind donation, and volunteer effort. 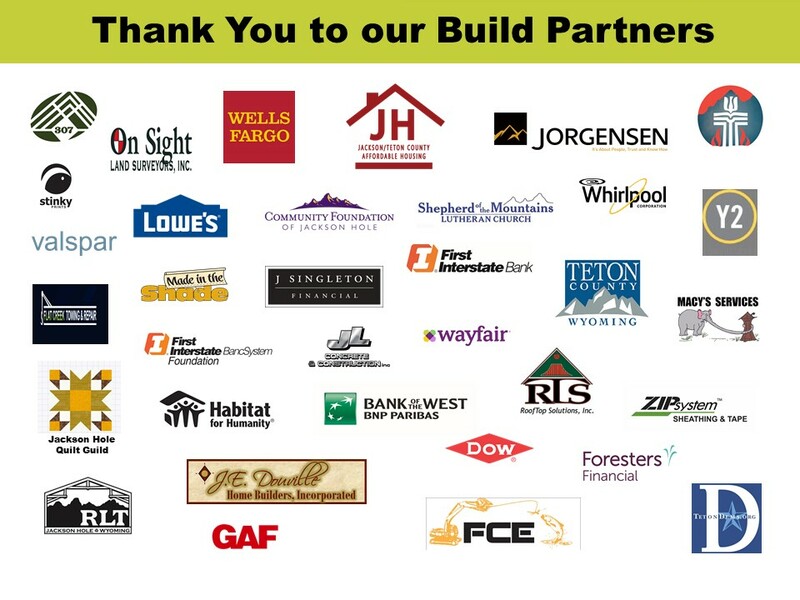 If you are interest in becoming a Build Partner contact Paul Schmidt, Development Officer, at Paul@tetonhabitat.org or 307-734-0828 x 101. We thank them for their commitment to Habitat and for helping us build homes and hope alongside Habitat partner families and volunteers in our community.